New Qualcomm chipsets for smart speakers, amps, and noise-cancelling cans | What Hi-Fi? 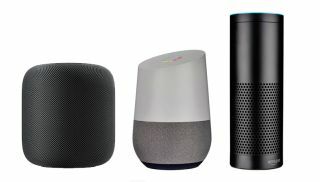 New chipsets aim to set a uniform standard across all smart speakers - including Amazon Echo, Google Home and Apple HomePod - as well as making noise-cancelling headphones more affordable. The company's Snapdragon systems-on-chips could also push the price of noise-cancelling headphones down to around £35, according to Techradar. The new QCC3XXX chip means noise-cancelling technology can change from being flash-based to a faster ROM (Read Only Memory) -based chip. This brings the price down for manufacturers, who will be able to use Qualcomm’s tech rather than building their own. Qualcomm’s Anthony Murray said, "Today ambient noise-cancellation is very much a premium-end feature. Now you can actually get ambient noise-cancellation in, you could argue, a $40 dollar price-point headset." Finally, Qualcomm has introduced its latest DDFA audio amplifier technology, which can "deliver much higher fidelity audio and design flexibility" than traditional Class D amplifiers. Next-generation DDFA, which will be available on the CSRA6620 chipset, will make its way into wireless speakers, soundbars, and networked audio and headphone amplifiers. The platform includes a controller with eight channel inputs, two channel outputs, microcontroller and configurable audio processor, providing "lower complexity [and a] more cost effective" product.